Richardson Pool at Schofield Barracks and the pool at Tripler Army Medical Center are open year-round, offering Active-Duty physical training hours, lap swim and open swim sessions. The pools at the AMR and HMR housing areas are seasonal pools, open from Memorial Day through Labor Day. Federal Holidays 10 a.m. - 4 p.m. 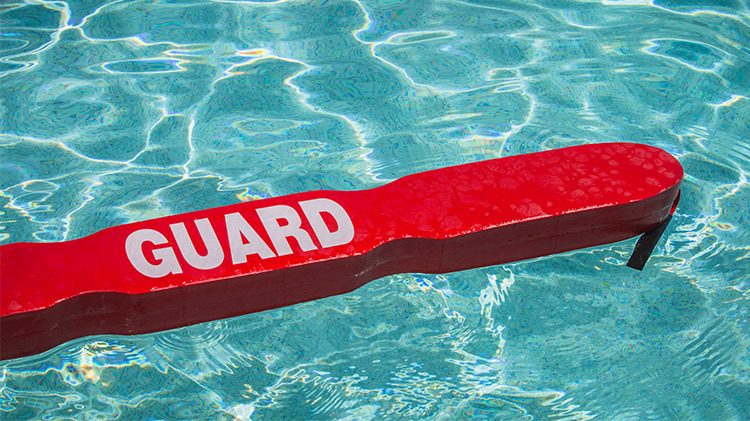 The pool is available for Physical Training (PT) on Monday, Wednesday, Thursday, and Friday from 6 a.m. to 9 a.m.
All Units must have a Unit Lifeguard to use the pool for PT. 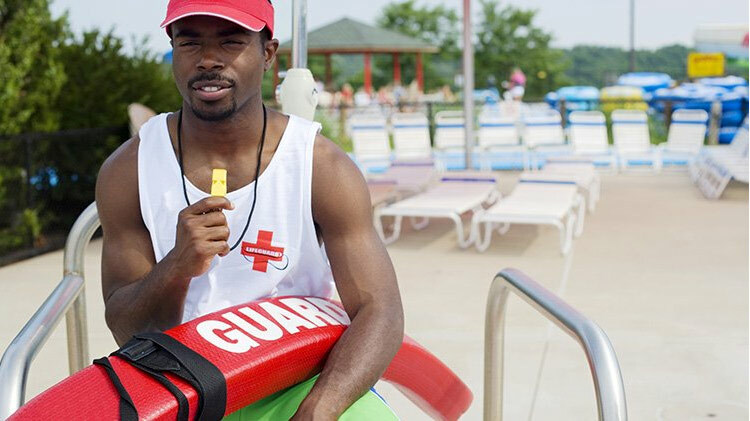 The Unit Lifeguard must provide a copy of his or her lifeguard certification. Call to make a reservation. *TAMC Pool closes at 1:00 p.m. every first Tuesday of the month and is closed all day every first Wednesday of the month. The pool is available for Physical Training (PT) on Monday - Friday 6:00 a.m. - 9:00 a.m.
Reservations for a group of 3 or more participants are required. Reservations are received in person at our facility during hours of operation. Passes are valid for 30 days from sale date. 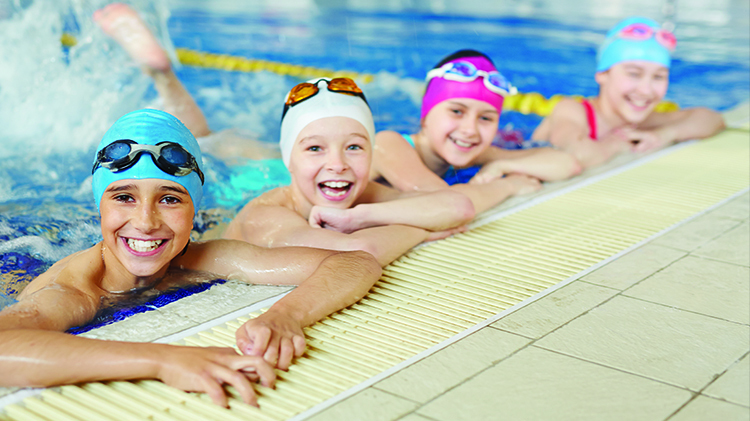 We offer multi-skill level swim classes for all ages. As lessons become available, they will be listed at the bottom of the page, under the "Featured Events and Promotions" section. Please call for more information. Parents learn strategies to help their children grow comfortable in water. Parents must enter water with children. Swimmers develop a sense of comfort and confidence in the water while playing games and learning to explore the aquatic area. Children must be able to follow directions. Swimmers learn principles of aquatics safety, introduction to swimming skills such as sculling, floating, push of glide, kicking, rhythmic breathing, and arm movement and hand placement. Child must be able to follow directions and place face in water. Swimmers should have completed level 1. Children continue to work on and strengthen the skills introduced in level 1 and begin to learn treading water and elementary backstroke. Swimmers must be able to demonstrate all skills covered in levels 1 and 2. Students will begin to learn breaststroke, over arm backstroke, sidestroke. Swimmers must be able to demonstrate all skills from levels 1-2 and be familiar with techniques covered in level 3. Students will review the fundamentals of free style and continue to develop and strengthen their skills in the application of breaststroke, overarm backstroke, butterfly stroke, and sidestroke. Swimmers must be able to properly demonstrate all skills covered in levels 1-2 as well as a familiarity with techniques and strokes covered in levels 3-4. Swimmers will be introduced to fundamentals of aquatics safety training and be introduced to multiple self-rescue skills. Swimmers must be able to properly demonstrate all skills covered in levels 1-3 as well as familiarity with techniques and strokes covered in levels 4-5. Students will began learning advanced swimming, diving, turns and other techniques associated with competitive swimming and diving. Swimmers will participate in structured drills and timed swims. Participants must be able to swim 25 meters freestyle and 25 meters overarm back stroke without stopping. Participants must also be able to tread water for a minimum of 1 minute without stopping. Participants should also be familiar with the breaststroke and butterfly strokes. *Parents are asked to stay in pool area but not interfere with class. Aquatic Safety Exploration focuses on the prevention of aquatic accidents, fitness and swimming skills, emergency response, leadership skills and the professionalism of lifeguards. This class is designed for students ages 11 to 14 and is usually offered at all pools. 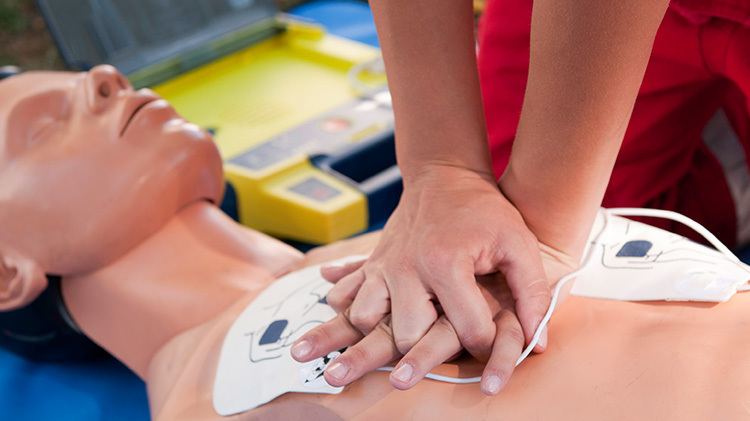 Lifeguard classes include certification in Lifeguarding, CPR/AED, oxygen administration and first aid. This class is designed for students ages 15 and over. Offered only at Richardson Pool. Water Safety Instructor course is an advanced class that allows students ages 17 and over to become certified water safety instructors and gives them the ability to teach students how to swim. 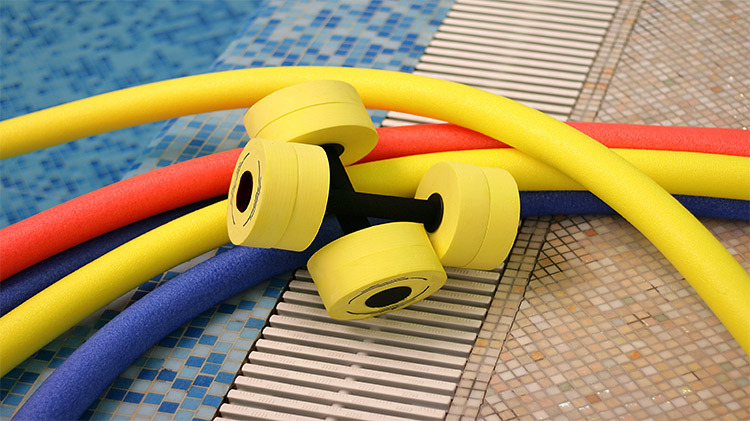 Water Aerobics is a safe and effective exercise alternative; improving the overall level of fitness without stress on the joints. Please call for more information. Richardson Pool at Schofield Barracks offers year-round youth swim teams. Practices are held Monday through Friday. Tryouts are held from 3:30 p.m. to 4:30 p.m. for children and youth ages 6 to 18 years. Plan your next event at any of our pools and you’re sure to have a splashing good time! From covered gazebo areas at Richardson Pool to scenic overlooks at Tripler pool, there’s a spot that’s perfect for your next get-together, just ready and waiting. Contact any of the pools for more information. Diving Boards - must be a swimmer and at least 10 years to use the platform. Make certain it is clear before jumping, dive straight in front. Divers must exit at the ladder. *Other rules and regulations addressed in official guidance or specific to a pool may not be listed but do apply.